May the Lord give you what you really want. May he make all your plans successful. We will celebrate when he helps you. We will praise the name of God. May the Lord give you everything you ask for. Happy Birthday, May your plans be successful. 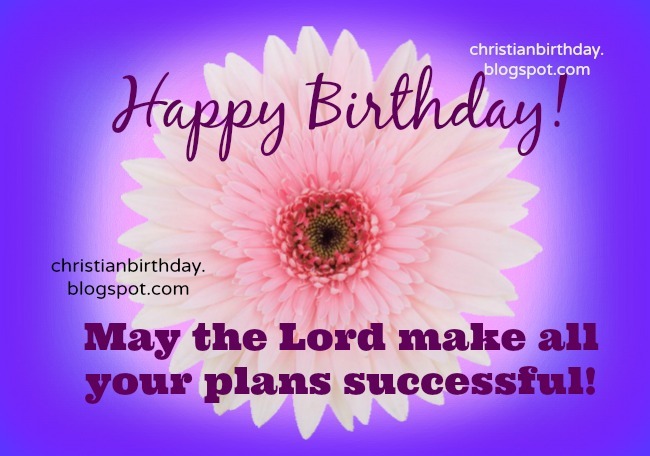 free christian quotes for birthday, free card for a friend, woman, mom, daughter, free images to a christian sister.